CALCE has made available years of research as webbooks, which are intended to provide a knowledge and resource base to support the development of competitive electronic components, products, and systems. More than 99% of today’s microelectronic devices are encapsulated in plastic. Recent improvements in materials and cost incentives have expanded the application boundaries for plastic electronic packages so that many electronic applications once enclosed hermetically are now enclosed in commercial-off-the-shelf (COTS) packages. The obvious advantages are low cost, smaller form factors, and improved manufacturability. Encapsulation Technologies for Electronic Applications is primarily focused on the encapsulation of microelectronic devices, with additional attention paid to the encapsulation of connectors and transformers. Various encapsulation techniques are explained including molding, potting, glob-topping, underfilling and printing encapsulation. Other topics discussed include 2-D and 3-D packaging, materials (including those considered to be environmentally friendly or “green”), properties and characterization. Furthermore, this book addresses the defects and failures related to encapsulation, how to properly analyze them, and how to apply proper quality assurance and qualification processes. 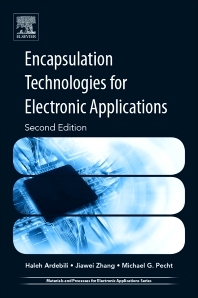 It also provides up-to-date information on the trends and challenges of encapsulation and microelectronics packages, including in the application of nanotechnology. This online resource presents interactive reliability science guidelines for accelerated product qualification and quality assurance. 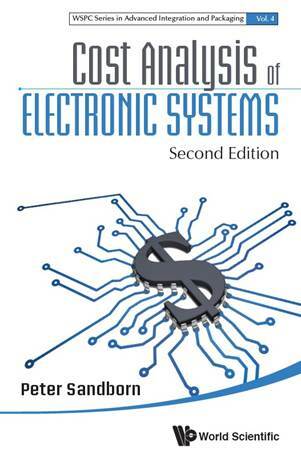 The material is intended to give electronics manufacturers, suppliers, managers, analysts, and engineers a rational understanding of efficient ways to assess product durability and quality. 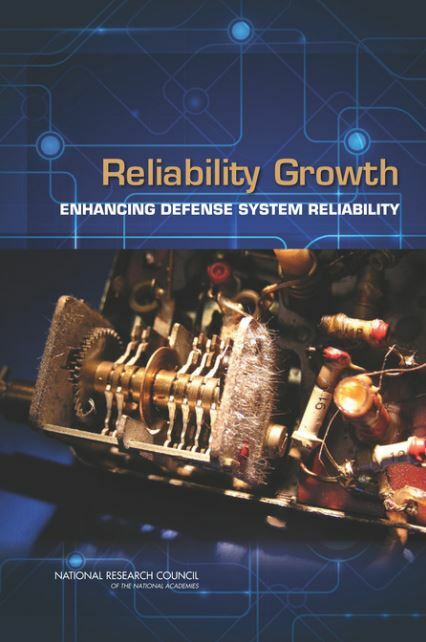 Further, the fundamental concepts required to develop a successful reliability science based accelerated qualification and quality assurance program that meets the product requirements, lowers life-cycle costs and reduces the time-to-market are addressed in detail through interactive case-studies. The valuable lessons learned are outlined as a set of generic guidelines to help design, plan, and implement a reliability science-based accelerated qualification program. Contacts: Dr. Abhijit Dasgupta, [software, presentations, tutorials, case studies, and reports]. 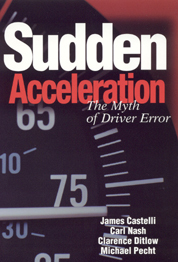 The CALCE CCA Failure Mechanism Handbook is an evolving technology that is intended to allow design engineers, product managers, reliability analysts, and failure analysts to rapidly evaluate failure risks for circuit card assemblies (CCA). This resource describes, compares, and critiques different failure models for CCAs. Examples include thermomechanical fatigue, vibration fatigue, mechanical shock/warpage damage, and chemical/corrosion damage. Access to online failure calculators is also provided. Contact: Dr. Michael Osterman, [software, presentations, tutorials, and reports]. 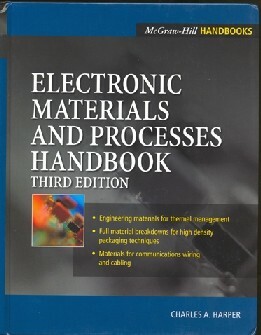 The component knowledge base webbook was developed to provide engineers with valuable background information on a variety of components including analog ICs, connectors, memory, potentiometers, cables, electromotors, MEMS, resistors, capacitors, magnetics, PCBs and thermistors which are used in electronic products. 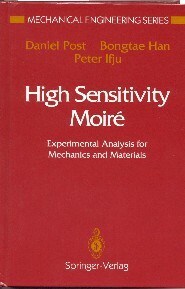 This webbook is intended to aid engineers in: (1) identifying critical components in a product based on system application requirement and component technologies, (2) understanding design and manufacturing (construction, material, reliability, quality issues) of these components, (3) analyzing risks related to the application of these components, (4) evaluating identified risks using analytic and reliability test methodologies, (5) developing component reliability and quality specifications, (6) developing guidelines for proper application of the components in system design, manufacturing, and test, (7) identifying root-cause of failures related to the components, and (8) investigating component quality/reliability function enhancement and cost reduction opportunities. Contact: Dr. Diganta Das. This webbook serves as a reference for the IC designers and manufacturers on using connectors and IC component sockets for component functional test, burn-in and assembly. 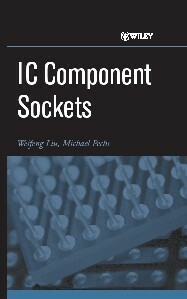 It provides: a physical understanding of separable contacts; a comprehensive overview on connector and socket materials and their properties; a detailed examination of performance characteristics; an extensive examination of socket designs; a process for reliability assessment of IC component sockets; a complete discussion on failure modes and mechanisms; a list of industry specifications and standards; and much more. Contacts: Dr. Michael Pecht and Dr. Diganta Das , [tutorials with references, bibliography and internet links]. The growth in popularity of contract assembly outsourcing in the electronics industry and the absence of concrete procedures for the outsourcing process form the motivation for this research work. Contract outsourcing involves the transfer of specific assembly activities related to a product or process from an OEM (Original Equipment Manufacturer) to a CA (Contract Assembler). This web site presents industry outsourcing data from the top OEMs and CAs, step-by-step procedures for performing benchmarking and the management of the CA, the economics of outsourcing, and several case studies of large OEMs that have successfully performed outsourcing of electronics assembly activities. Contact: Dr. Peter Sandborn, [presentations and case studies]. A methodology and it’s implementation (MOCA) has been developed for determining the part obsolescence impact on life cycle sustainment costs for the long field life electronic systems based on future production projections, maintenance requirements and part obsolescence forecasts. Based on a detailed cost analysis model, the methodology determines the optimum design refresh plan during the field-support-life of the product. The design refresh plan consists of the number of design refresh activities, their respective calendar dates and content to minimize the life cycle sustainment cost of the product. 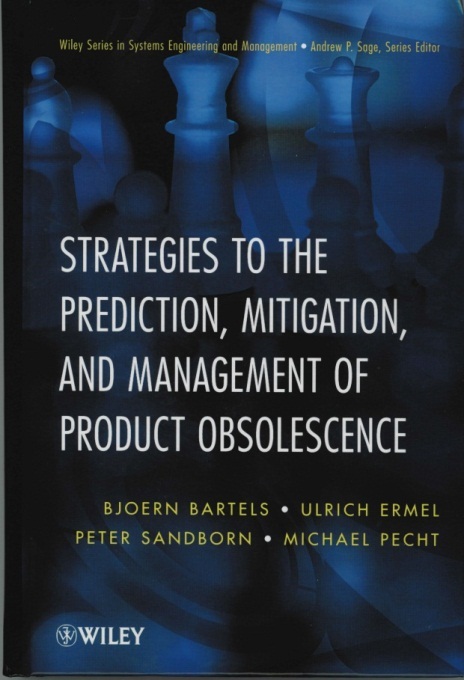 The methodology supports user determined short- and long-term obsolescence mitigation approaches on a per part basis, variable look-ahead times associated with design refreshes, and allows for inputs to be specified as probability distributions that can vary with time. Outputs from this analysis are used as inputs to the PRICE Systems PRICE H/L commercial software tools for predicting life cycle costs of systems. Contact: Dr. Peter Sandborn, [application software and documentation]. This webbook provides the latest insight into the state of current technology and business practices throughout S.E. Asia in a series of country specific guidebooks. 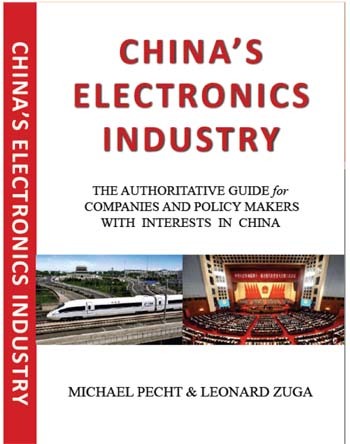 It covers latest developments in all sectors of the industry from wafer fabrication to system assembly; includes information on companies and organizations; and addresses the interplay between industry, government and educational organizations. Essential for all electronic professionals in today's global economy. Contact: Dr. Michael Pecht [book chapters and articles]. A source for properties of materials at all levels of electronic packaging. Fully updated from first edition. 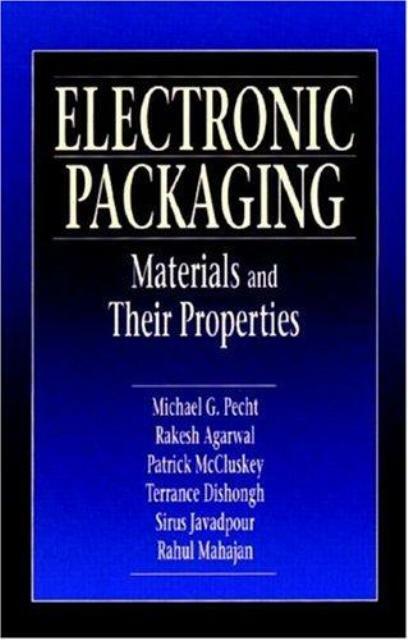 This webbook reviews the key electrical, thermal and thermomechanical, mechanical, chemical, and miscellaneous properties and their significance in electronic packaging. 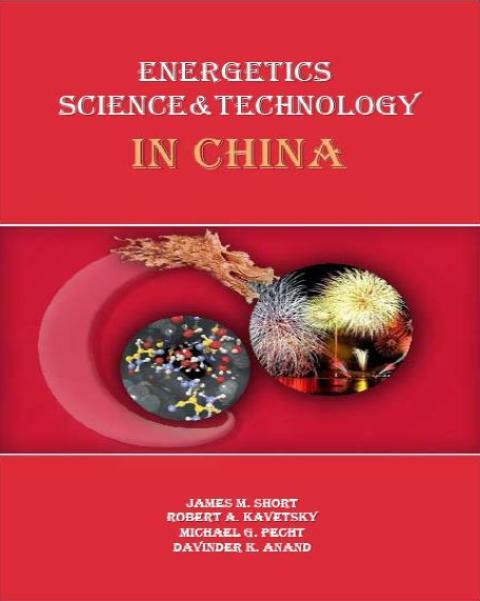 Contacts: Dr. Michael Pecht and Dr. Patrick McCluskey, [book chapters and references]. This webbook contains information on approaches to computational modeling, current capabilities of commercial EMC/EMI software, and the fundamental mathematical principles behind EMC/EMI modeling and analysis. It also contains various EMC/EMI example problems. Contacts: Dr. Michael Pecht. A limiting requirement for some parts is escape routing. If a part's I/O are in an area array format (as opposed to peripherally bonded), the part can not be wired into the system until all of its I/O are routed out from under the part. This situation is encountered for flip chip bonded die and die in various array format chip scale packages such as BGAs (Ball Grid Arrays). The process of liberating I/O from an array is called escape routing. If the array is small enough (small I/O count), or the line width and line spacing in the board is fine enough, it may be possible to escape all the I/O on the top layer of the board. More often, However, some I/O must use vias to drop to other layers to be escape routed. If additional layers must be used, the combination of the part I/O pitch and connection size, and the via and/or hole capture pad sizes must allow the placement of a via or hole capture on the board within the part I/O array, or it is impossible to drop unescaped I/O to deeper layers. In addition, many board technologies, especially microvia Printed Wiring Boards (PWBs), have practical limitations on the number of layers that can be fabricated. A part that requires too many layers to escape route may have to be rejected. This tool can be used to: 1) Determine whether a specific part can be escape routed when interconnected to a specific board technology, and 2) Determine the footprint occupied by the part on the top layer of the board. Contact: Dr. Peter Sandborn, [online software]. This resource describes the principal failure mechanisms associated with modern IC's, and the typical practices used to address them. 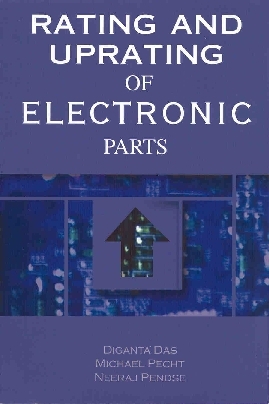 This book focuses on the individual failure mechanisms associated with semiconductor devices. A list of failure sites, operational loads, and failure mechanisms associated with semiconductor devices is provided. This webbook discusses topics such as intrinsic device sensitivities, electromigration, hot-carrier aging, time-dependent dielectric breakdown, mechanical stress induced migration, alpha particle sensitivity, electrostatic discharge (ESD) and electrical overstress, and latchup. This webbook presents some guidelines for designing for reliability, process development and qualification issues, and provides insight into screening. 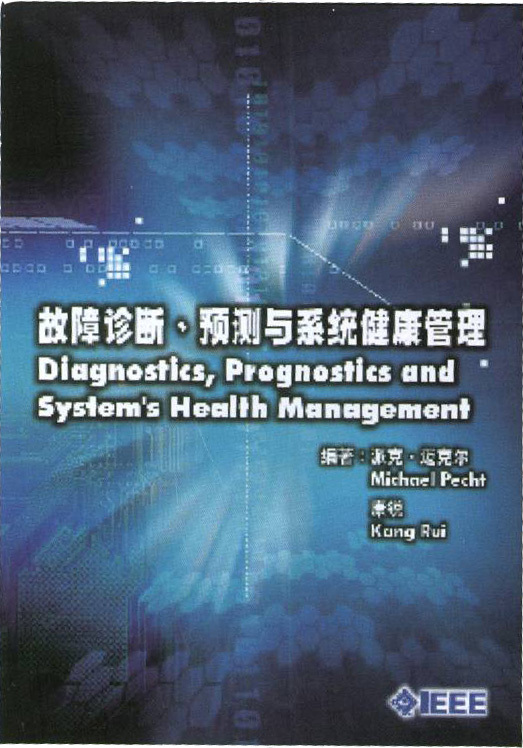 Contacts: Dr. Michael Pecht and Dr. Diganta Das, [book chapters and references]. This interactive guidebook for the development of electronic systems for use at temperatures above 125 °C/ Provides information for each package element. Information includes material properties, failure mechanisms, failure models, and manufacturing sites. Contacts: Dr. Patrick McCluskey and Dr. Diganta Das, [presentations, interactive online guidebook, book chapters and references]. The Metals Handbook defines hardness as "Resistance of metal to plastic deformation, usually by indentation. However, the term may also refer to stiffness or temper, or to resistance to scratching, abrasion, or cutting. It is the property of a metal, which gives it the ability to resist being permanently, deformed (bent, broken, or have its shape changed), when a load is applied. The greater the hardness of the metal, the greater resistance it has to deformation. Contacts: Dr. Keith Rogers [books chapters with references]. 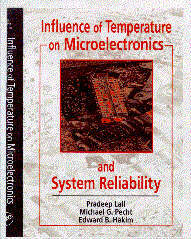 An authoritative source on the effects of temperature on microelectronic device failure mechanisms. The document covers the important issues of steady state temperature dependent models, temperature effects associated with temperature cycling, temperature gradient, and time dependent temperature changes. It identifies models quantifying the temperature effects on various package elements, and address of the impacts of various design for temperature trade-offs on electronic systems. Temperature related models are assessed in terms of their use for determining the maximum and minimum allowable thermal stresses for a given system architecture. 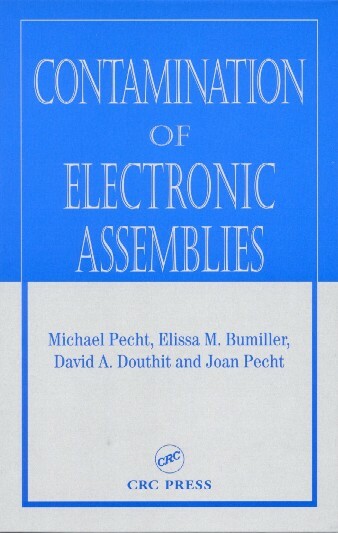 Contacts: Dr. Michael Pecht and Dr. Diganta Das, [book chapters and references]. 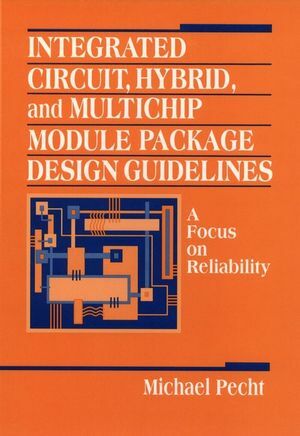 A handbook providing descriptions of critical failure mechanisms for a wide range of packaging elements in IC, hybrid and multi-chip module packages. It also gives fundamental models for assessing the susceptibility for failure of these electronic products. Contact: Dr.Michael Pecht, [book chapters and references]. This resource provides an introduction to Integral Passives (IPs). 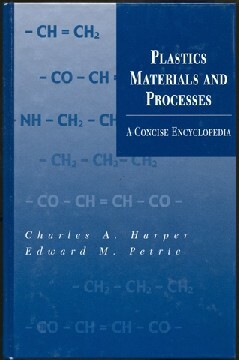 The resource covers materials, economics, and failure issues related to using Ips. 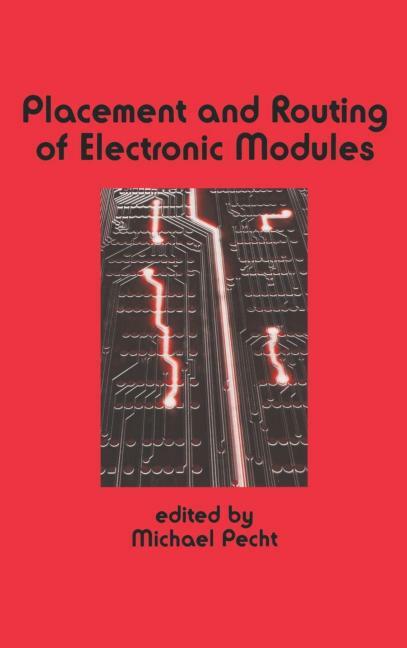 This model provides an application-specific economic analysis of the conversion of discrete passive components (resistors and capacitors) to integral passives that are embedded within a printed circuit board. The model performs three basic analyses: 1) Board size analysis is used to determine board sizes, layer counts, and the number of boards that can be fabricated on a panel; 2) Panel fabrication cost modeling including a cost of ownership model is used to determine the impact of throughput changes associated with fabricating integral passive panels; and 3) Assembly modeling is used to determine the cost of assembling all discrete components, and their associated inspection and rework. Contact: Dr. Peter Sandborn, [software, guidebook, and references]. Display technology is changing at an ever increasing pace. New developments focused towards optimizing power, size, weight, performance and cost are revolutionizing the display industry. The flat panel display market is projected to be around $30 billion worldwide in 2003, of which 86% is expected to be liquid crystal displays. Furthermore active matrix LCD are projected to be the dominant LCD technology in the coming years. Apart from consumer electronics, increasing use of LCDs in critical applications like defense, avionics and automobiles has evoked the need to understand the reliability of LCD devices. This web handbook is part of this effort to bring together all the scattered data on LCD reliability at one place for the benefit of CALCE consortium members. Contact: Dr. Patrick McCluskey and Dr. Bongtae Han, [book chapters and references]. Electronics can experience a range of environments subsequent to manufacture and prior to disposal. Non-operating electronics do not necessarily experience benign environments. The potential environmental stresses on non-operating electronics can be natural, such as those due to climatic conditions, or can be induced by humans. 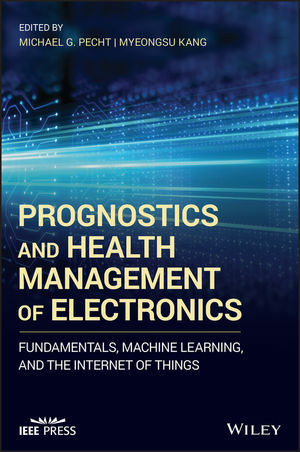 This book examines non-operating electronics reliability issues, outlining and discussing storage conditions, the stresses that can arise in these conditions, and the failure mechanisms that can cause a failure. 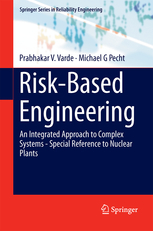 Contacts: Dr. Michael Pecht and Dr. Diganta Das, [book chapters and references]. 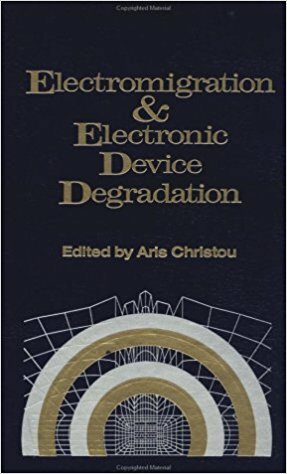 This webbook provides tutorials, bibliographies, and research work associated with moisture diffusion and corrosion in electronic systems. Moisture ingress into electronic assemblies can have many deleterious effects. In plastic encapsulated microelectronics (PEMs), moisture can cause or attribute to reliability problems such as popcorning, cracking, delamination and corrosion of the metalization at the die surface. Moisture in printed wiring boards can lead to corrosion, oxidation , and dendritic growth. Corrosion can cause degradation in electrical and mechanical performance of the electronic systems, and eventually, opens or shorts. Contacts: Dr. Michael Pecht, [tutorials, presentations, and references]. 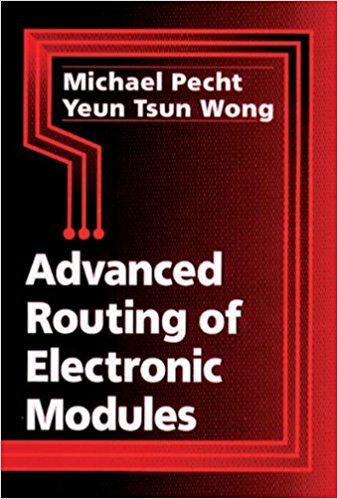 An interactive guide including a webbook, a bibliography, and online movies, provides a state of current technology and guidelines for use, manufacturing and purchasing of Plastic Encapsulated Microcircuits (PEMs). The webbook presents the science and technology behind PEMs. The advantages of using plastic packages, and the state of the current technology are discussed. A perspective on future trends in plastic encapsulation, especially on chip technology, packaging, design, materials selection, manufacturing processes, device integration and application-specific reliability is included. Also included is a bibliography of a wide range of critical publications in the fields of PEM manufacture, use, and reliability. Contacts: Dr. Michael Pecht and Dr. Diganta Das, [book chapters, references, bibliography and online movies]. 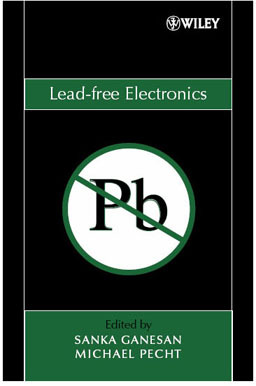 An interactive guide providing information on the performance, reliability and application of power electronic devices. 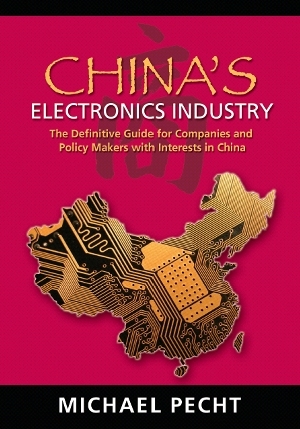 Covers the history, relative performance, appropriate power/frequency regime, and failure mechanisms for a wide range of devices including Metal Oxide Semiconductor Field Effect Transistors (MOSFET), Insulated Gate Bipolar Transistor (IGBT), MOS-Controlled Thyristor (MCT), Bipolar Junction Transistor (BJT), and Gate Turn-Off (GTO). Contacts: Dr. Patrick McCluskey and Dr. Michael Pecht, [interactive guidebook]. From calculators to the control panel on the space shuttle, printed wiring assemblies (PWA's) are prominent in today's technological world. Where are they made? How are they made? How are they tested? The answers to these questions and more are in this webbook. Discover the manufacturing and assembly process of PWB's and companies that make this process work. Contact: Dr. Keith Rogers, [interactive guidebook]. 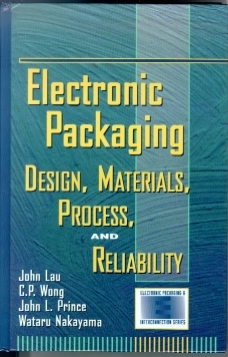 This webbook provides a science based approach to developing a reliability assessment program for microelectronic packages including failure mechanism identification and modeling. 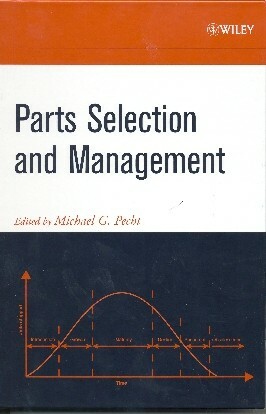 This webbook also discusses failure mechanisms identification and modeling for each of the major package and interconnect elements. Contact: Dr. Michael Pecht, [book chapters and references]. 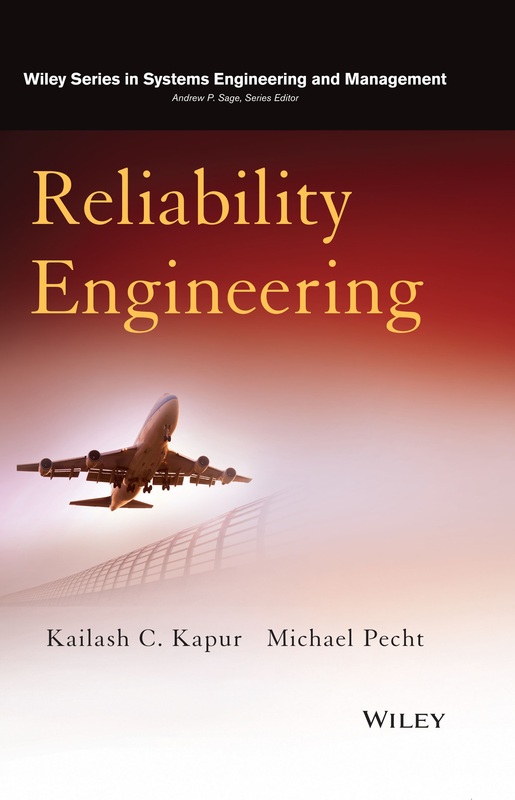 This online resource provides a list of articles and papers related to reliability. The articles have been divided into four categories namely (1) prediction (2) general interest (3) management and (4) failure tracking & data reporting. A search functionality that is incorporated in this resource allows one to search articles by title and author name. Contact Dr. Diganta Das. 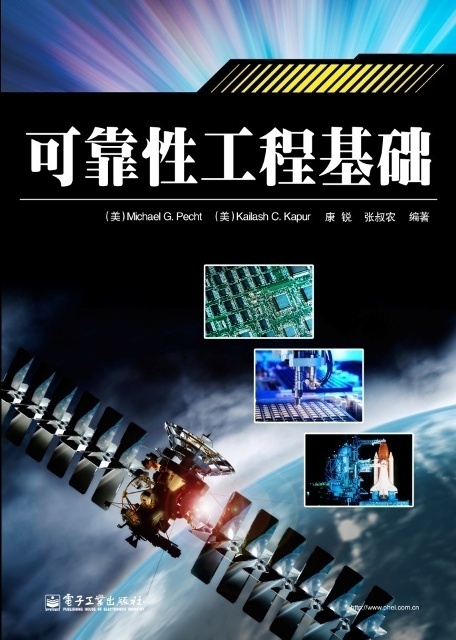 This web book provides a discussion of the state of microsensor technology and its relevance to life-consumption monitoring. Sensors for a wide range of measureants have been reviewed, including acoustic emissions, angular acceleration, angular rate, linear rate, displacement, pressure, temperature, humidity, chemicals, touch, infrared radiation, fluidic sensors, and remote powering and sensing. Typical applications for each category of sensor are discussed, including the manufacturing and sensing technology, a discussion of the general sensor area, the state of research and commercialization of the sensors, general performance capabilities and limitations, physical properties of the sensors, commercial availability, and a summary table detailing sensor research groups and suppliers, along with critical parameters for specific sensors. Sensors, both in development and on the market, have been cataloged. Contact: Dr. Peter Sandborn, [book chapters, references and bibliography]. Over time, soldering technology has developed from an art into a high-technology science - an evolution chiefly influenced by the pressure placed on the soldering industry by advances in microelectronics. 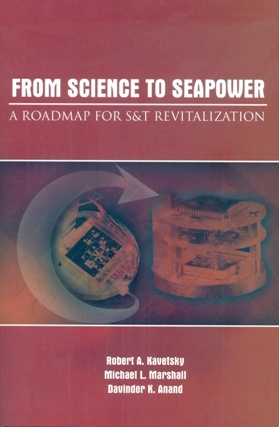 This book addresses the major facets of modern soldering technology and the science behind that technology. 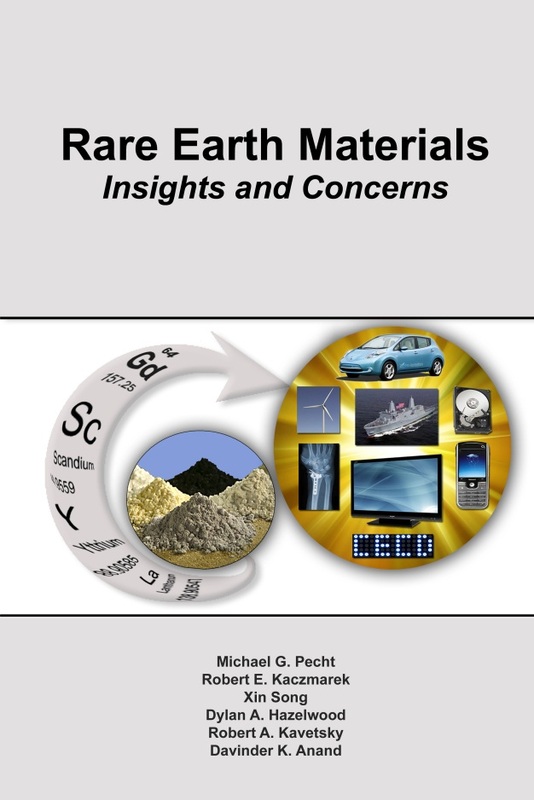 Contact: Dr. Michael Pecht [books chapters with references]. Uprating is a process to assess the capability of an electronic part to meet the functional and performance requirements of an application in which the part is used outside the manufacturers' specified operating conditions. In an ideal world, there would not be a need for a book on uprating. The part manufacturers would supply parts with appropriate ratings, for all products and systems. One would not have to be concerned about using any part beyond its ratings. Also performance, cost, assembly, test and obsolescence would not be factors of concern. However, the ideal world does not exist. Contact: Dr. Diganta Das, [book chapters and references]. 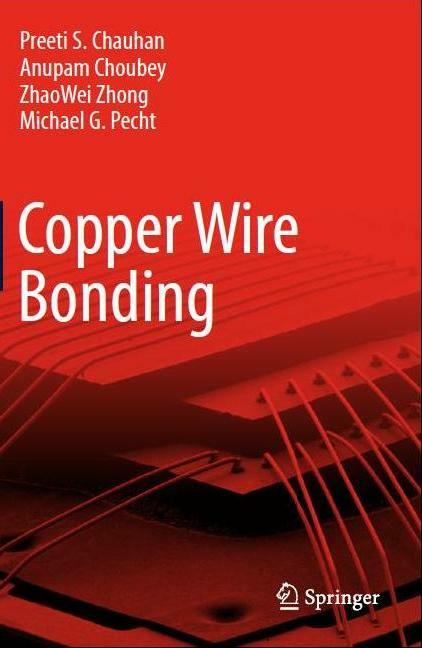 This document considers mostly wires for electronics rather than wires used for the conduction of electrical power (in such applications as power distribution, home and building service, and appliance and machine wiring). Although the products for these two general applications areas are quite similar, wires for electronics must be functional over a wide range of frequencies from direct current well into the millimeter wavelengths. By contrast, power distribution wires are primarily intended to carry direct current or alternating current at 50/60 Hertz. Certain kinds of products (such as flat ribbon wiring, coaxial cable, and fiber-optic cable) are used exclusively in the domain of electronics, and power cords are common to both market divisions. However, as electronics invades more products and applications, the distinctions begin to diminish, as wires that carry both power signals become more prevalent. Contact: Dr. Don Barker, [book chapters, references and bibliography].